Jess is right. 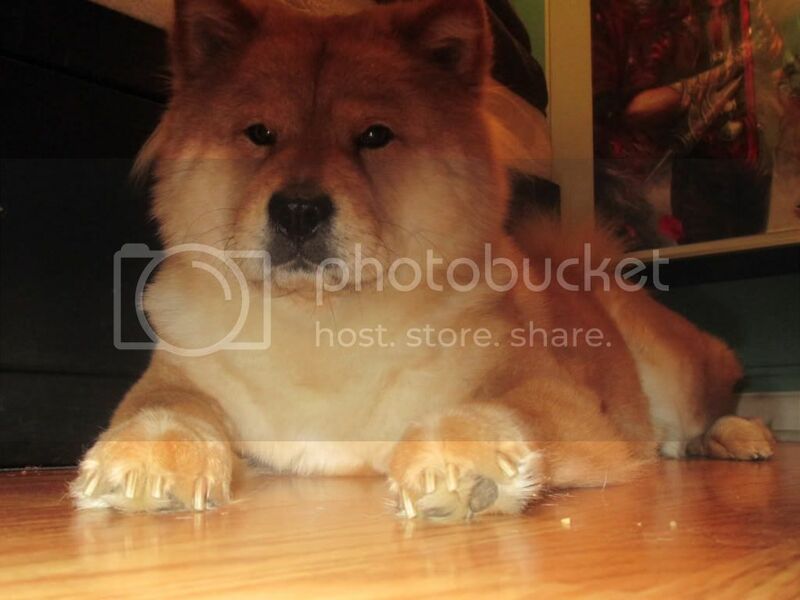 Your Teddy looks like the "classic" chow. 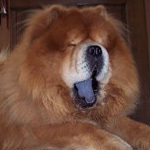 Somewhere, on this site are several pictures of chows from aroung the late 1800's and very early 1900's and they look a lot like Teddy, (or more correctly Teddy looks like them) And it may be that here in the US the first ones that came over were like Teddy, and that there is a strong genetic trend towards that type. 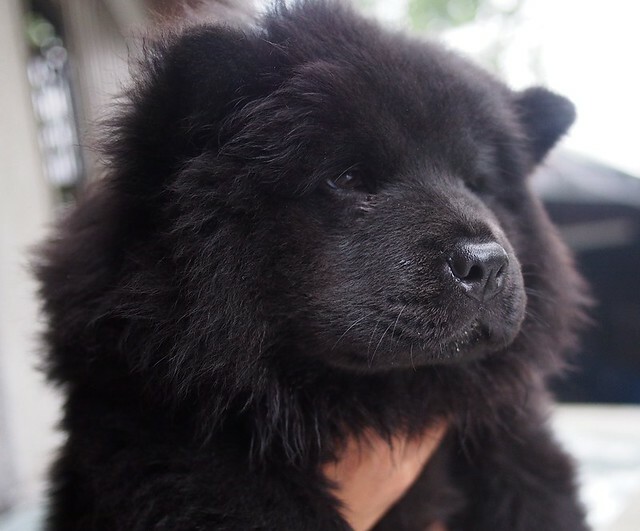 I have noticed that except for some bred for show, a lot of chows tend to look like Teddy here. chowling1964 wrote: Bottom line= differentials within the varying bloodlines..
i am newbie when it comes to dogs.. what do you mean by that? and what are they saying "manes"? is my dog pure breed? what you think? thanks! Me & Tess wrote: Love the pictures! thanks! 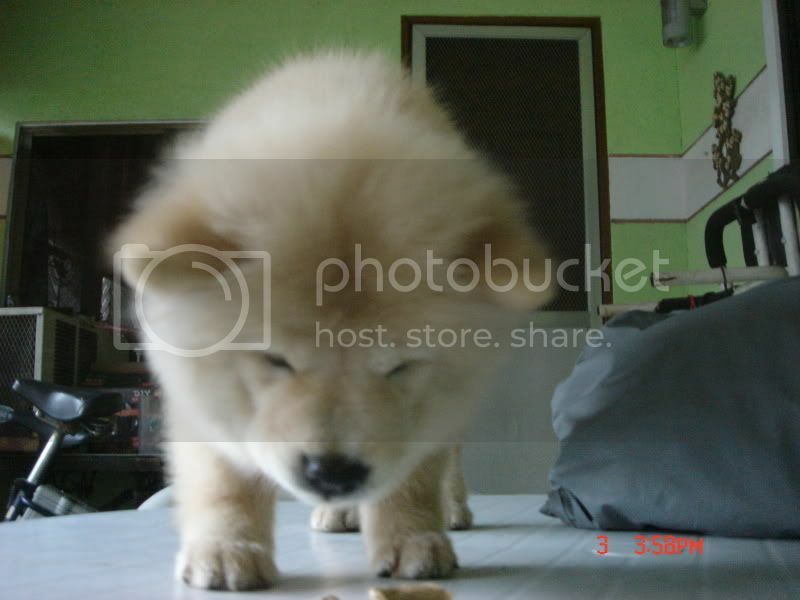 can you figure out if kobe's a pure chow? Well we thought we would add our furkids mugs tho this. ShenLung and FengHuang just turned 3. 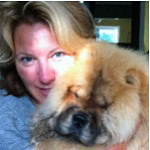 As you can see in my signature, Molly looks like the older chows. 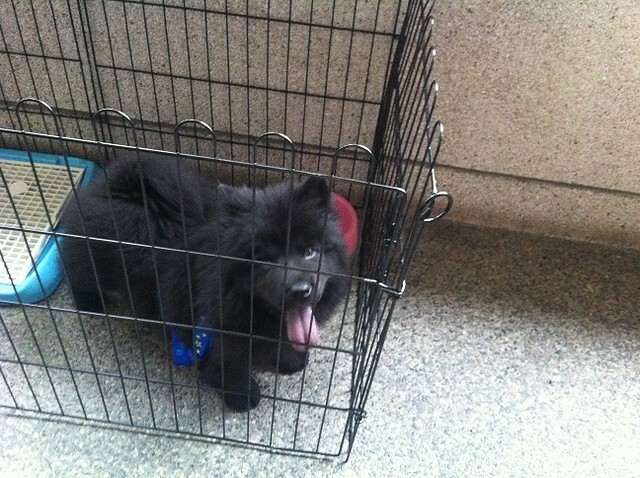 Kobechow...I would say Kobe is purebred. 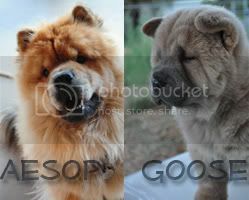 It doesn't really have to do with American vs European lines..there are many Chows from American lines who have the blockier muzzles. It has more to do with what the breeder was focusing on...if they breed a dog with a longer muzzle, some of the pups are likely to end up with that. And if those pups are bred, it continues on. What did your girl's parents look like? I think it's more common for the lines breeding for show to have dogs with the more blocky muzzles. The standard calls for a muzzle to be short in comparison to the top skull, so a dog with a really long muzzle (while still a great pet) wouldn't fit that standard. It doesn't make them different breeds..just means one was bred closer to the standard than the other. 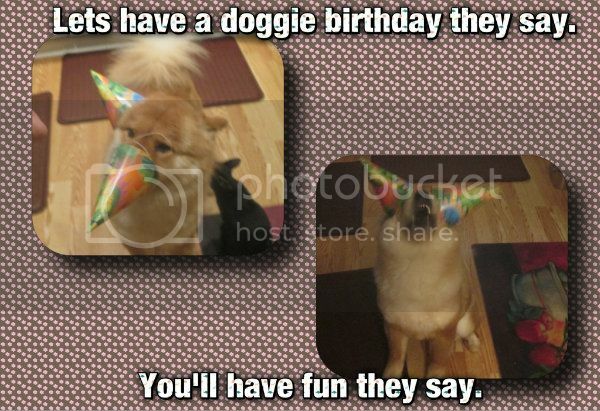 Just like any other breed..you'll find marked differences in type in most dogs. 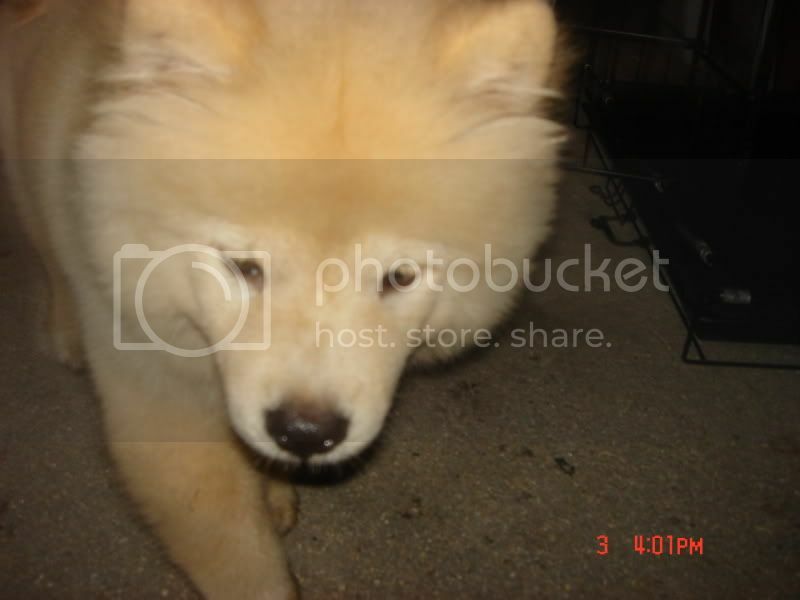 Compare show bred Pomeranians to pet ones, as one example. 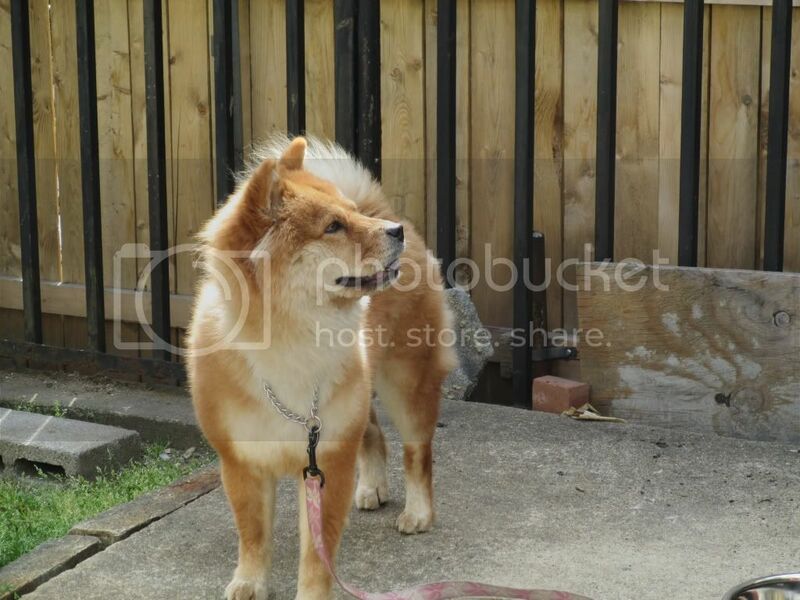 My female Chow has the "classic" look- more of a long face and no wrinkles. 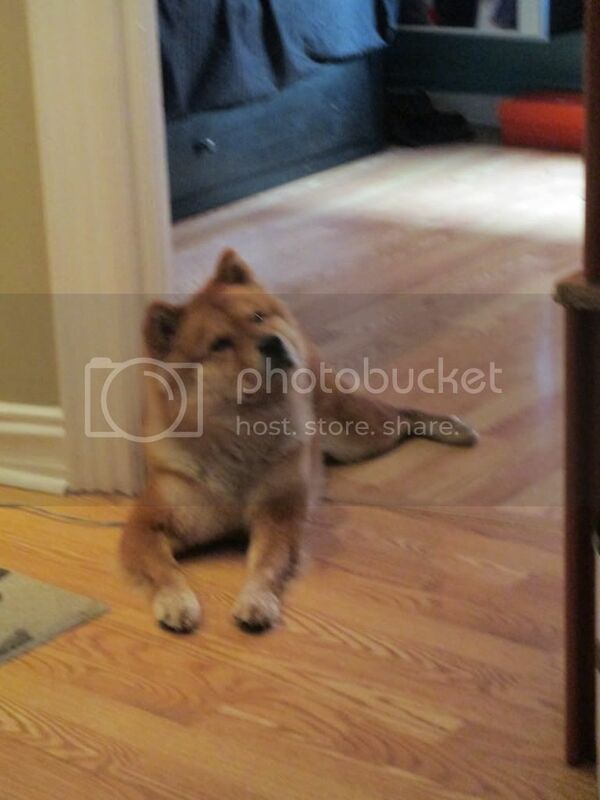 She pure Chow (couldn't mistake her attitude with any other breed ), though I I have noticed a lot of variation within the breed- as this thread demonstrates. Does anyone here show? I'm guessing more show lines have a more pushed in face, wrinkles, and smaller eyes. 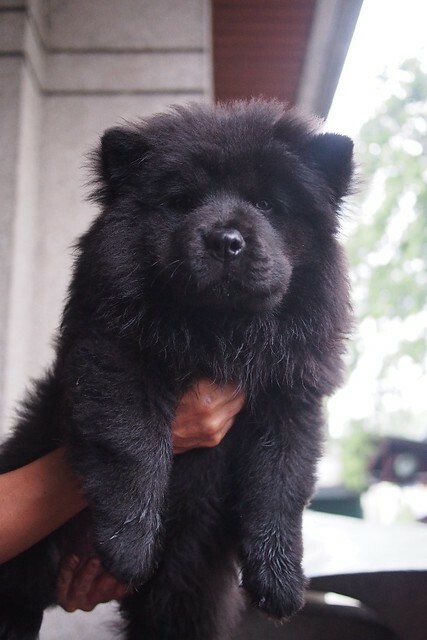 The champion Chows I have met also have noisy breathing...sounds a bit like a health disadvantage, but it would be interesting to get a breeder/exhibitors opinion on it. 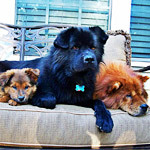 Oh my, so many beautiful variations to our beloved chows! If I could I would have one of every type! PS Little Bear is currently sleeping on my feet... keeping them warm, but also making them fall alseep... she looks so peaceful I don't have the heart to wake her!!! YEsterday, I and my family together with Nutella Waynewent to this Pet Village to show my mom some new pups. He looks like our Mia...She is what we call an in-betweener..lol..Not full rough coat but not full smooth either...She has the longer nose...Our Male chow is the heavier boned Short muzzled look...But his Mom was the thiner long nosed dog...I guess its in there genes somehow..lol...on what there going to look like..
kitten1426 wrote: He looks like our Mia...She is what we call an in-betweener..lol..Not full rough coat but not full smooth either...She has the longer nose...Our Male chow is the heavier boned Short muzzled look...But his Mom was the thiner long nosed dog...I guess its in there genes somehow..lol...on what there going to look like.. There's NO such thing as an "in-betweener". There is rough and smooth, nothing else. Because too many people believe there is such a thing as an in-betweener. There are varying coat lenths for rougher not ALL rougher have HUGE coats. Varying coat length does NOT mean "in-betweener". The male has a height of 52 to 60 cm (20-23.5 inches) at the withers and weighs approximately 23 to 32 kg (50-70 lb). The female has a height of 48 to 56 cm (19-22 inches) at the withers and weighs anywhere from 18 to 26 kg (40-57 lb). 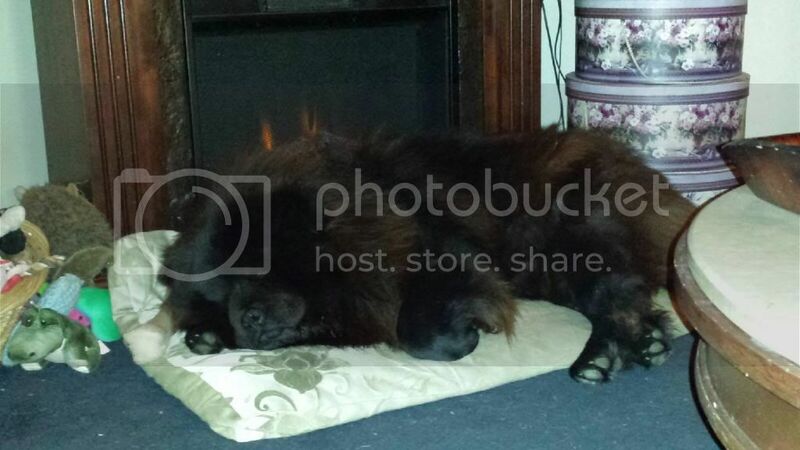 Eurasiers are calm, even-tempered dogs. They are watchful and alert, yet reserved towards strangers without being timid or aggressive. Eurasiers form a strong link to their families. 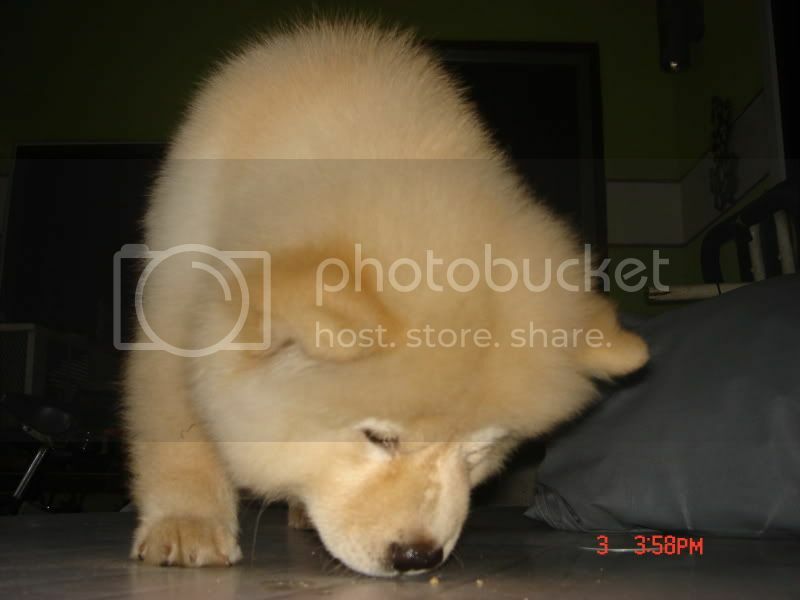 For the full development of these qualities, the Eurasier needs constant close contact with its family, combined with understanding, yet consistent, training. They are extremely sensitive to harsh words or discipline and respond best to soft reprimand. 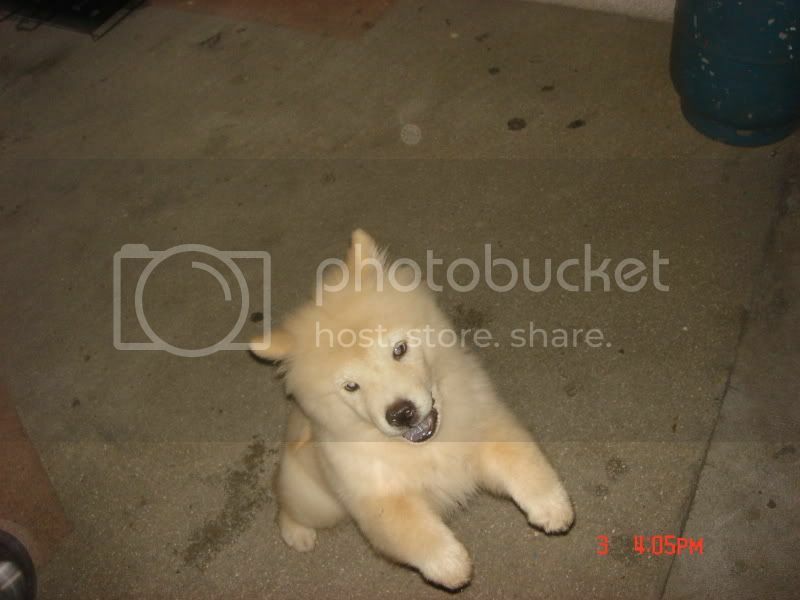 The Eurasier is a combination of the best qualities of the Chow Chow, the Wolfspitz, and the Samoyed (dog), resulting in a dignified, intelligent breed. PrinceArx, he looks full blooded to me, in the classic open face type. 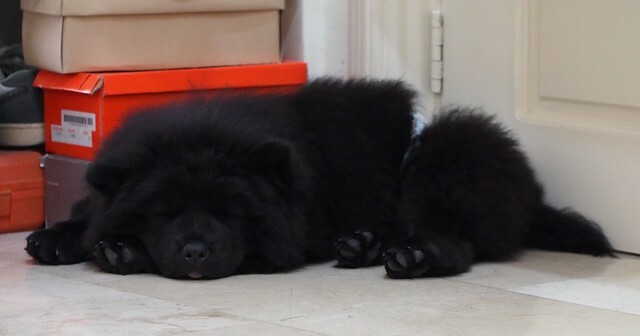 Black lips and tongue....and the tail is too cute! He's adorable. chowling1964 wrote: The loner the faces and fewer wrinkles yield to fewer problems with eye health problems...Plus, breathing is alot easier..We have both in our pack..
what about my baby? is she more of a long or a short snout? I'm seeing more open face with yours. ilovemysmoothie! 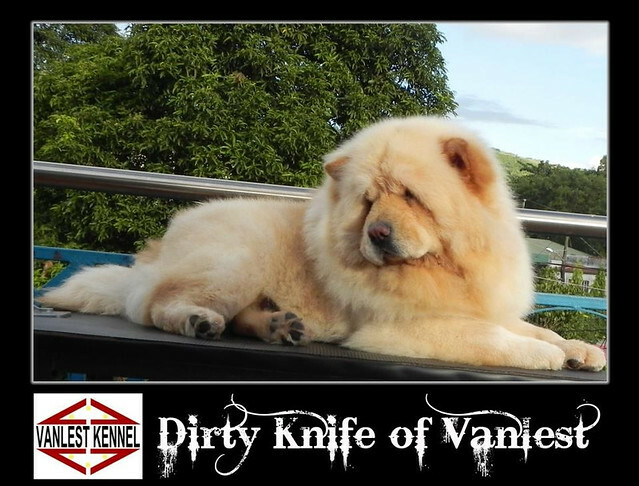 wrote: Oh my, so many beautiful variations to our beloved chows! If I could I would have one of every type! I realize this post itself is fairly old, but I'm curious about breeding smooth to smooth. I have read many places it should be smooth to rough, but I am not sure of the reasoning. I read one place that bred smooth to smooth and felt there was no good reasons, only that smooth to smooth tended to produce shorter coats? It's kind of like I've read a couple places you shouldn't breed cream to cream, yet I've seen some do it as well. My pup was from a smooth and rough breeding. All the pups were smooth. Like I said, it's more of a curiosity thing and was wondering what the reasons were behind this one.